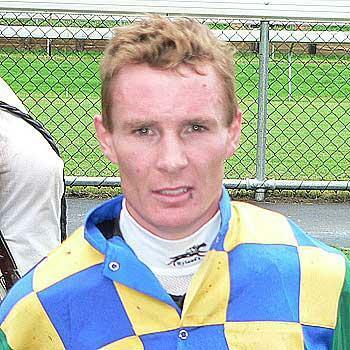 Darryl Hansen :: Stage Shaker wins Mackay Cup. Stage Shaker wins Mackay Cup. HANDY stayer Stage Shaker is poised to again be a Jupiters Townsville Cup force after taking out Saturday's $50,000 Mackay Cup (1800m). Stage Shaker ($6 fav) continued trainer Darryl Hansen's run of feature success with a stout effort for stable jockey Dale Missen under the steadier of 58.5kg. The six-year-old won by long neck from fellow local Sooth Sayer ($26), with Rockhampton warhorse Dini Who ($8) a close third. Mackay Amateur Cup winner Stage Shaker at his previous start was fourth in the Rockhampton Cup. Hansen said a good barrier had been the difference on Saturday. "He had the run of the race just behind the speed, Dale rode him well again but a good barrier helps," Hansen said. "At Rocky he had no luck from a wide gate, he was four-deep." Stage Shaker was a fast-finishing third behind Legal Brief and Shoot First in last year's Townsville Cup (2100m). Townsville product Hansen hopes the Celestial Dancer gelding - raced by Rockhampton couple Rob and Leonie Carr - will again be in the mix at Cluden Park on Saturday week. "We'll head up there and try our luck, he should be hard to beat we hope," Hansen said. "He's probably going just as well as last year, if not better. "They told me on Saturday it was a race record. "He's a horse who just tries, it doesn't matter what you put him in." Shoot First ($8) finished fifth after getting a long way back from a wide barrier. Hansen also saddled up Link Hogthrob (seventh), Role Of Ned (eighth) and Starry Dancer (10th). He said all three would join Stage Shaker in being entered for the Townsville Cup. "I'm looking at bringing the lot, whether they get runs is the thing," Hansen said. Hansen almost took the feature double at Mackay after Rockhampton Newmarket winner Onalar's storming finish for second to Bazzooka in the Mackay Newmarket last Thursday. Onalar promises to give Hansen a strong hand in the $75,000 XXXX Gold Cleveland Bay Handicap (1200m) at Cluden Park on Thursday week. "It was a huge run the other day, Dale got off and said horses just don't do what he did," Hansen said. "At this stage I'm pretty sure we'll give the Cleveland Bay a crack."